Item # 307515 Stash Points: 4,495 (?) This is the number of points you get in The Zumiez Stash for purchasing this item. Stash points are redeemable for exclusive rewards only available to Zumiez Stash members. To redeem your points check out the rewards catalog on thestash.zumiez.com. Bring your athletic style to the pool or beach, in the Trefoil Black One Piece Swimsuit from adidas. 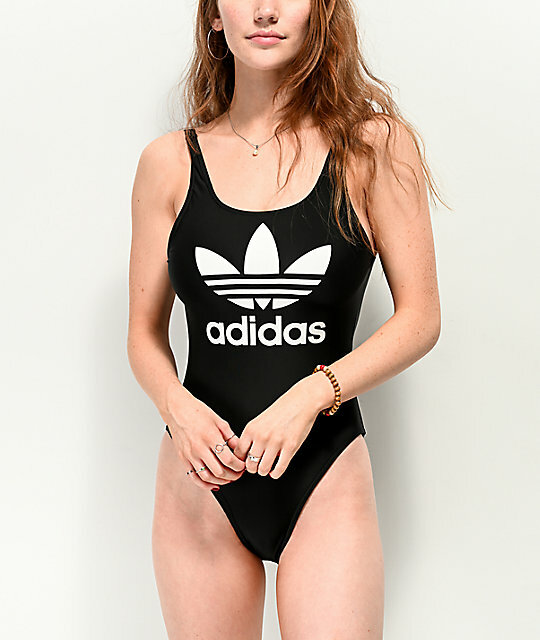 This sleek, one-piece bathing suit features a bold, white adidas Trefoil logo at the chest, and features high-cut leg openings for a retro feel. A round neckline and dropped back makes for a sporty look that you can't live with out this summer. 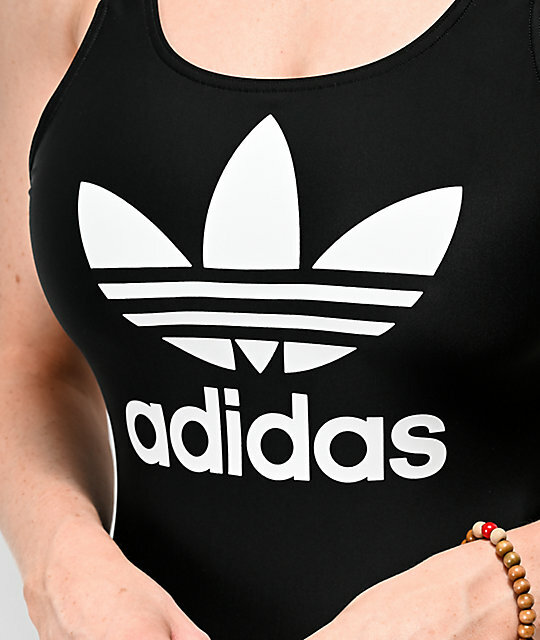 Trefoil Black One Piece Swimsuit from adidas. adidas Trefoil logo screen printed on front. Shell: 78% polyamid, 22% spandex, Lining: 100% polyester. Machine was cold on delicate cycle, cold, line dry in the shade. Round neckline & drop back design.